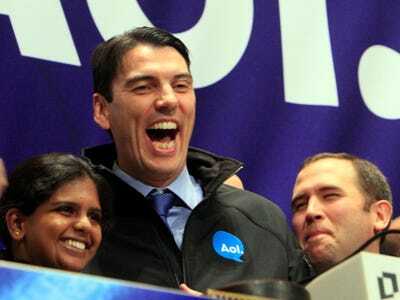 AOL just announced big changes at the top of its content business. David Mason, the former cofounder and CEO of AOL’s recent acquisition StudioNow, will become senior vice president of AOL Content Platform. Ex-Googler David Eun will take Bill Wilson’s old job as president of AOL Media and Studios. One of Bill’s lieutenants, SVP of AOL Entertainment Mike Rich, is leaving the company. Another one of Bill’s loyalists, Stephanie Dolgins, is also on her way out. Ex-Googler Jeff Reynar, already named head of technology for engineering and products in New York, is now also the engineering lead for AOL’s Content business. David Mason joined us in January when AOL acquired StudioNow, which he co-founded in 2007 and developed into the world’s largest web-based video creation platform. A veteran technology entrepreneur and e-commerce pioneer, he started one of the first Internet bookstores in 1994, which became Buy.com. David graduated with honours from Sewanee – The University of the South with a Bachelor’s degree in History and also completed courses at the Department of War Studies, King’s College London.